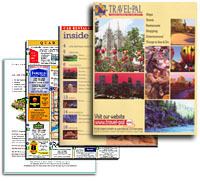 Travel Pal offers a wide array of marketing tools and strategies to help promote and market Cities, Hotels, Attractions, and Businesses throughout the Western United States. These are just a few of the many time tested programs that Travel Pal offers. Travel Pal International provides all the tools you need to plan a perfect vacation. We want to optimize your travel experience by providing all of your travel planning needs in one, easy location. With just one stop, you can view the hotels, activities, and even restaurants in a variety of locations across the country. 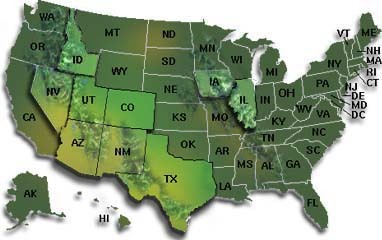 Travel Pal works directly with the owners of these establishments to bring you the best rates for your experience. Here at Travel Pal, we have also done all the work with our easy to use V-Card, so you don't have to waste time clipping coupons. Click on the image below to find out more. Contact us for more information or to update your listing with a Spotlight Page. Make your website stand out with an interactive tour of your business or city. Up to fifteen 360° high resolution images. You can have millions of people walking through your facility and not leave a single footprint!